A complex, ruptured atheromatous plaque occasionally causes the onset of clots and platelet apposition, which is commonly seen in plaques causing myocardial infarction. 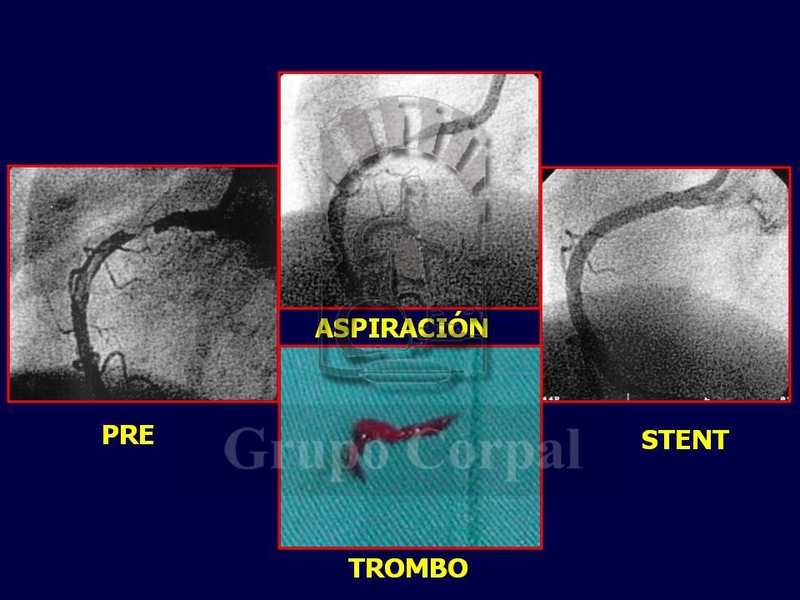 The presence of fresh thrombi in the vessel we want to treat generates a high-risk situation. If we treat the plaque without first treating the clot, we could provoke embolism that obliterates fine vessels and leads to what is known as “non-reflow syndrome”; the plaque can be free from stenosis but the re-established blood flow does not reach the capillary bed that is blocked by clots. Although this is usually a temporary situation, it can seriously aggravate the patient until resolved with intracoronary adenosine and antiplatelet drugs.